Constantly being asked for low maintenance gardens? Well here is your answer! Get the best value on quality Dutch-made (8-10 year guaranteed) next-generation, non-infill synthetic grass. Whatever the requirements you can be assured we have the experience and range of products to cover it. 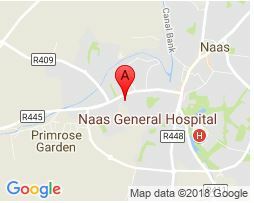 We’re in business for over 15 years; we’re reliable, offer good value and have an excellent reputation. What’s more, we understand the importance of meeting deadlines. That’s why we provide a next-day, no-fuss delivery and installation service. SPECIFICALLY DESIGNED FOR PRIVATE LAWNS – from IRELAND’S NO.1 SPECIALISTS. GRASS IS GUARANTEED FOR 8 YEARS SO ITS RISK FREE ! FULL TRAINING PROVIDED, THEREAFTER ITS SIMPLE ! People LOVE the results ! 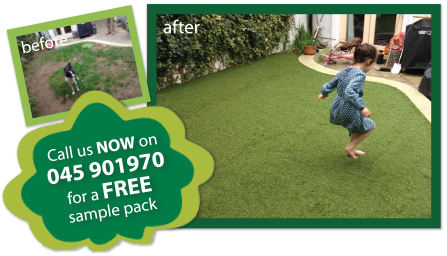 Add another product & service to your offering today and provide your clients with child & dog-friendly artificial lawns. Meet the growing demand (no pun intended!) with the most advanced and best value grasses – its usually too wet to set a real lawn anyway.